Winter holidays mean skiing, strolling around, relaxing, shopping, having fun, discovering new restaurants, beautiful hotels, changing one’s mind in a unique and exceptional setting. We have selected the most luxury ski resorts in Europe for you. Treat yourself to an exceptional holiday at the best price guaranteed by booking your holiday today in one of the most luxury ski resorts in Europe. Courchevel, Gstaad, Davos…those names evoke beautiful shops, restaurants, hotels and spas. 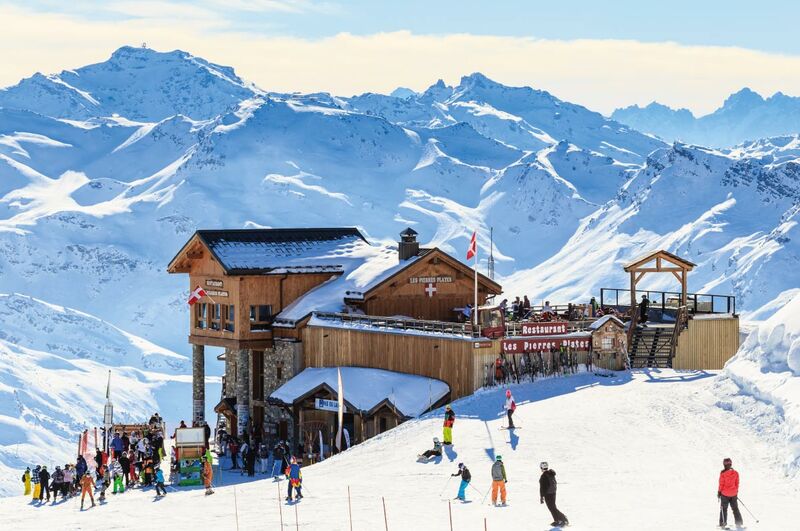 However Courchevel remains affordable for every budget. The ski resort has 185 five star hotels! We like the Annapurna Hotel: it combines modernity and tradition, offers brand new equipment and a superb outdoor pool. We also recommend the Strato hotel with its great breakfasts and a breathtaking indoor swimming pool. Book your stay at the best price guaranteed now and choose your dream hotel in one of the most luxury ski resorts in Europe. We wish you an exceptional winter holiday in Courchevel! 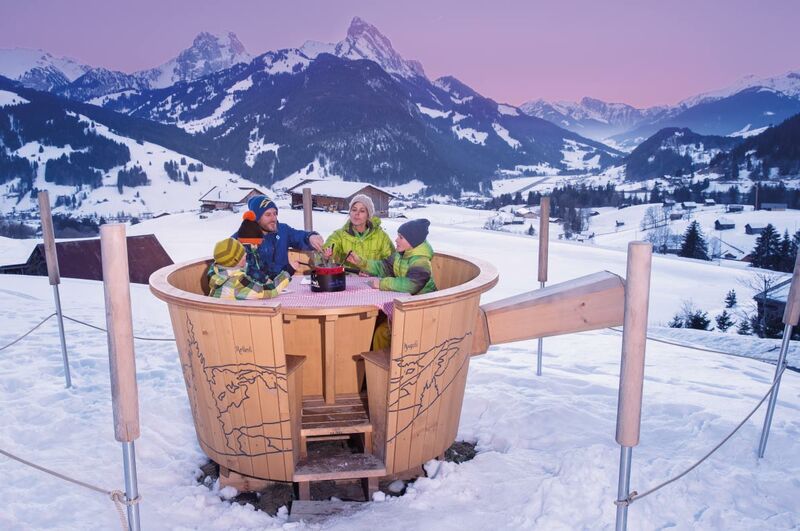 Gstaad is one of the most luxurious and best equipped ski resorts in Europe with its 250 kilometres of slopes, its snowpark and the guarantee of a good snow from October to May. Book your winter holiday at the best price guaranteed in Gstaad, one of the most luxury ski resorts in Europe. 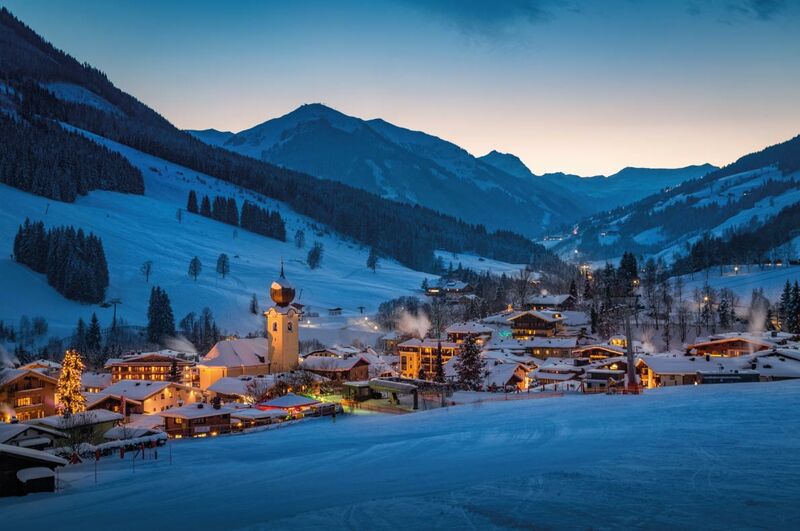 The Alpina Gstaad or the Gstaad Palace Hotel are our two favourites. 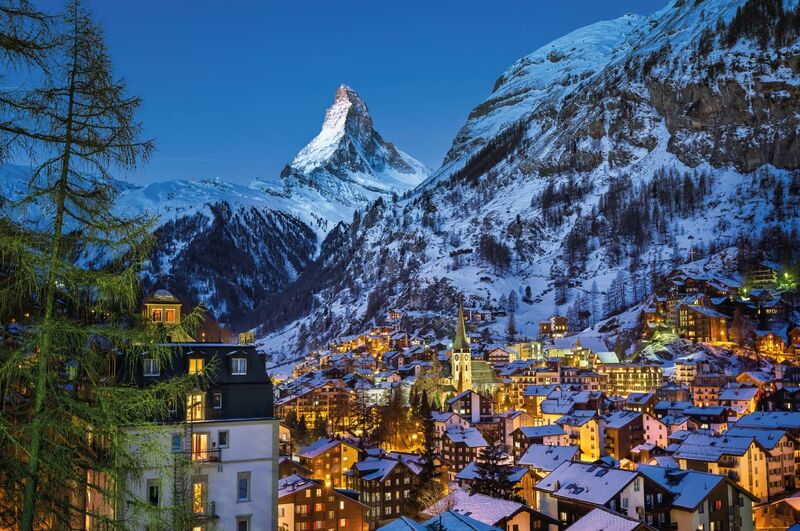 Come experience the ultimate luxury in one of Switzerland's most beautiful ski resorts. Davos is located in the middle of the Alps and offers breathtaking landscapes. It is not only a ski resort, it is also a real city with beautiful shops, restaurants and hotels. We recommend the excellent and very famous 5-star "Hotel Seehof"; You will be pampered like a star in the spa and will be proposed delicious meals in one of its 3 gourmet restaurants. We also recommend the "Steingenberger Grandhotel Belvedere", located in the heart of Davos. It is chic and sober. We particularly like the wellness area, the finely decorated pool, the gym and the many massage rooms! 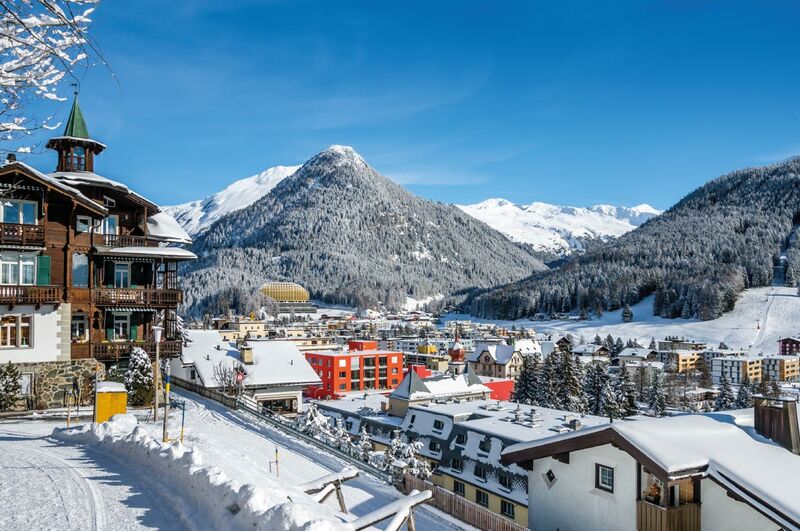 Book your hotel at the best price guaranteed in Davos, one of the most luxury ski resorts in Europe. Megève is with Courchevel one of the most famous ski resorts in France. Celebrities, actors, crowned heads, love Megeve because it is chic and casual . This authentic mountain village has the charm of yesteryear ; il also offers more than 260 km of slopes and a wide choice of magnificent 5-star hotels. 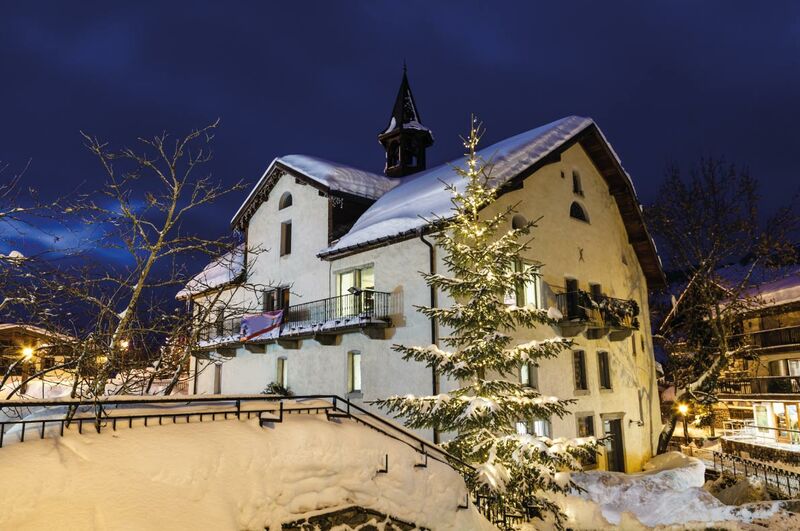 We particularly like the "M de Megève" hotel; it is located in the heart of the village. It combines modernity and tradition and offers an incredible wellness experience with its "Cinq Mondes" Spa. We also recommend the "Les Fermes de Marie" hotel which also combines luxury, haute cuisine, tradition and hospitality. Enjoy a great meal at the gourmet restaurant, relax in the "Pure Altitude" spa, sip a good cocktail in front the fireplace in this exceptional hotel. Book your stay now at the best price guaranteed in one of the most beautiful hotels in Megève. Chamonix Mont Blanc is perched on one of the most famous mountains in Europe. 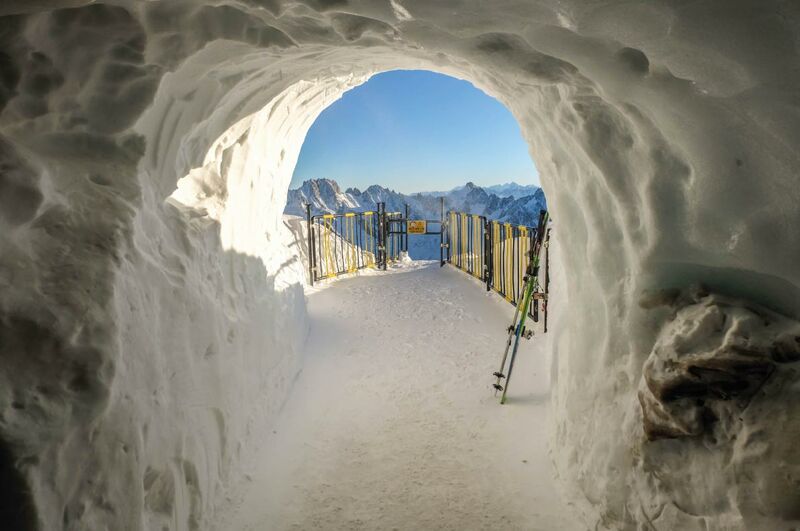 The Chamonix Mont Blanc resort is a great destination; it is the birthplace of skiing and mountaineering in Europe. Chamonix Mont-Blanc is stunning; it is a paradise for skiers (hundreds of kilometres of slopes), and non-skiers (many luxury shops, restaurants, wellness centres). The "Hotel Mont Blanc Chamonix" is one of our favourites : it is elegant and finely decorated ; the room are with mountain views . "Le Hameau Albert 1er" hotel is one of our favourites too. Come enjoy its hammam, sauna, gourmet restaurant combining traditional cuisine and Savoyard specialty. Book your stay at the best price guaranteed in Chamonix now; it is a historic and luxury ski resort. Baqueira-Beret and Val d'Aran. An irresistible combination. Baqueira Beret is a complete resort divided into 3 areas: Beret, Baqueira, and Bonaigua with their respective characteristics, a network of modern facilities and carefully maintained tracks will satisfy all skiers. 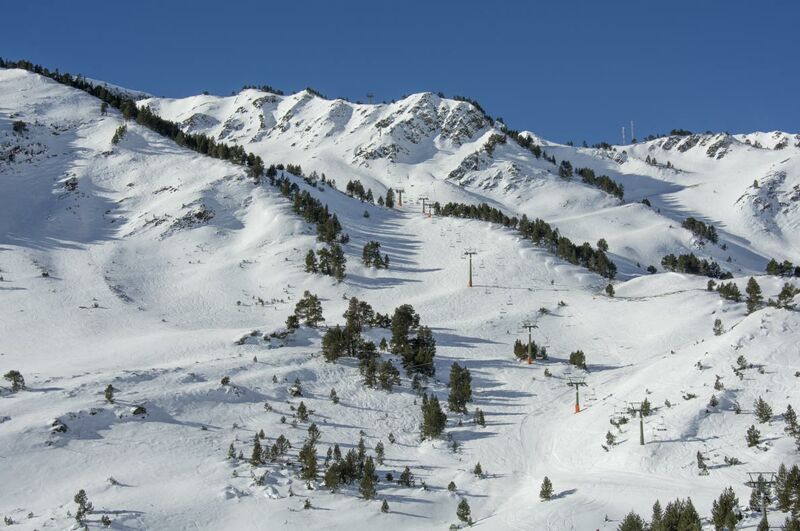 Baqueira-Beret is the most luxury ski resort in Spain, a world-class ski one. The most prestigious hotel is certainly the "Hotel Val de Neu G.L." It is located 50 metres away from the ski lifts. There are 4 restaurants and a luxury Sisley spa, as well as a children's area. We also recommend the chic and sober "Ac Baqueira Ski Resort" hotel, which also has a spa, a restaurant and a beautiful gym and relaxation areas. Book your hotel at the best price guaranteed in Baqueira-Beret for an unforgettable holiday in one of the most luxurious ski resorts in Europe. Welcome to Saalbach Hinterglemm in the heart of the Skicircus Saalbach Hinterglemm Leogang Fieberbrunn - Austria's coolest ski resort: 70 modern lifts are awaiting you. Ski-In / ski-out on well groomed slopes and masses of powder fascinate skiers, snowboarders and offpiste fans. Perfectly shaped funparks attract freeskiers. Over 60 cozy mountain huts in the whole resort serve local specialties. Come and enjoy a 5-star stay in one of the most beautiful and luxury ski resorts in Europe. Want to have a successful holiday ? Go to St Moritz! It is perfect (more than 155 kilometres of slopes and 24 lifts) for ski and snowboard enthusiasts. 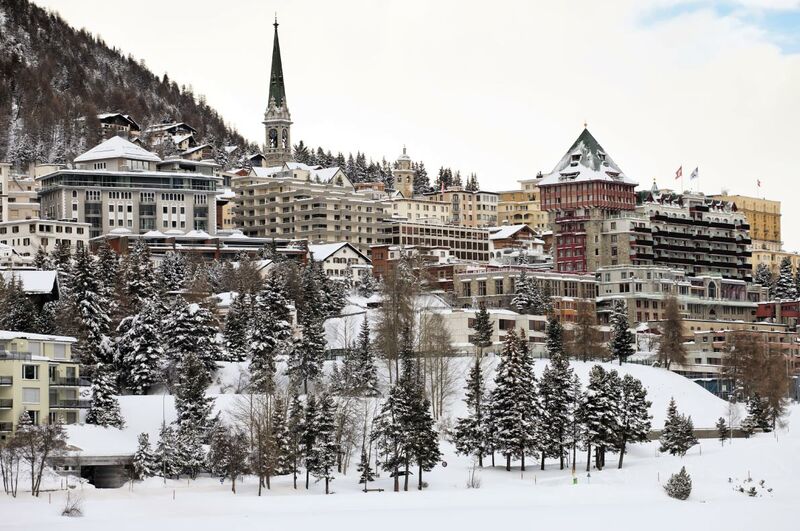 We recommend the Carlton Hotel St. Moritz with it gourmet restaurant, its 3-storey spa and 35 square metres suites. We also recommend the luxury 5-star hotel, the famous "Badrutt's Palace Hotel" with its panoramic view of the Alps and St Moritz Lake. Zermatt (1,620 m) pulses with life. Shops, cafes, bars and noble hotel lounges offer variety. But Zermatt is also a Walser village with houses dating back more than 500 years. Zermatt has more than 30 5-star accommodations including the famous Mont Cervin Palace. Located in the heart of the city of Zermatt, it owes its reputation to its gigantic spa of 1700m2, the quality of its breakfasts but also its grill restaurant where charcoal cooked food is offered. "The Omnia" is more recent, more modern but respectful for tradition and authenticity, The hotel is perched on a rock( 45 metres high). You can get to it through a tunnel connected to an elevator. James Bond’s fans will love it!. Book your hotel at the best price guaranteed in Zermatt, one of the most luxury ski resorts in Europe. Cortina d'Ampezzo is a world-renowned resort in northern Italy. It is 40 kilometres away from the Austrian border; it is famous for the quality of its slopes and infrastructures. It is within easy reach (highways, buses, Venice and Verona airports). The "Rosapetra Spa Resort" is elegant and refined; it is the perfect hotel for couples looking for an active and romantic winter holiday. 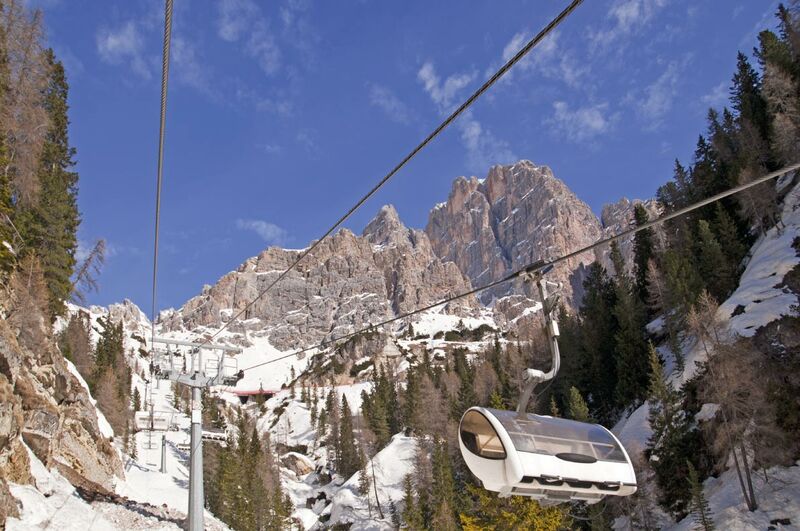 Discover all available accommodations in Cortina d'Ampezzo, one of the most beautiful ski resorts in Europe.